It doesn’t get much bigger than this. Roland TR-808 samples slammed through an OTO Machines Biscuit effects unit. These samples make a very gritty drum rack and packs a lot of punch. The Biscuit was the first product released by boutique French craft-lords, OTO Machines. The outrageous grunt that the Biscuit produced put them on the map. OTO Biscuit is a unique and very flexible machine. 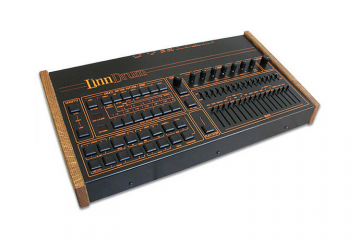 It’s an effects processor with a pretty wide range of sound design possibilities, but its 8-bit conversion and analog filter are it’s calling cards. 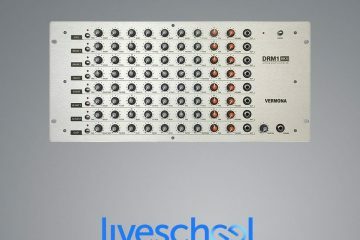 Think Ableton’s Redux Device, but as an outboard unit, with true 8-bit conversion and a whole lot more control. On top of bit rate reduction and its analog multimode (Low Pass, Bypass, & High Pass) filter, it hosts a waveshaper, a delay, pitch shifter and envelope follower. We took our meticulously-recorded Fairchild 808 samples (the ones run through a $30,000 Fairchild compressor with uniquely worn and dusty valves) and passed them back out through the Biscuit. A total of 9 passes were recorded, each at different settings on the biscuit, from subtle bit-reduction sizzle to full on Nintendo-worthy 8-bit sounds – so for each different drum sample you can can choose between the nine OTO Biscuit settings using the drum rack. The kick, snare and clap got a further run to make more banks of samples: 6 x 9 kicks, 6 x 9 snares, 3 x 9 claps. In total, 171 samples in a drum rack with custom-built master effects chain.